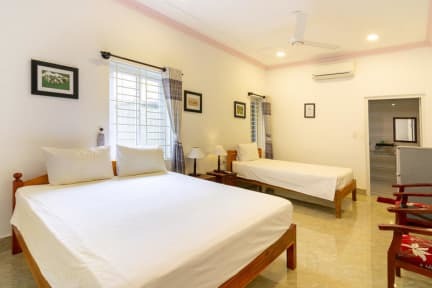 Hung Do Beach Homestay i Hoi An, Vietnam : Boka nu! Great location for beach lovers. It only 500 meters which is 5 minute walking to the beautiful An Bang beach. Tra Que Vegetables Village is 1.5 km away. Our homestay is very new, recently opens by the end of September, 2016. 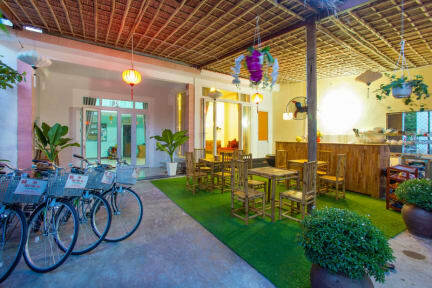 Located in a peaceful neighborhood, we have several bicycles that we're happy to let guest use for free. Free wifi is covered the whole property.